Mr.3 and I loved being part of Cerita Anak (Child's Story) at Arts Centre Melbourne this morning, an immersive and interactive sea journey addressing the perilous journey that refugees take, by boats, to get to safer land. Cerita Anak (Child’s Story) is a collaboration of Melbourne’s Polyglot Theatre and Indonesia’s Papermoon Puppet Theatre. This inspiring story follows the seafaring history of Java, Indonesia, and a true tale of a small boy’s arrival in Australia, by boat. 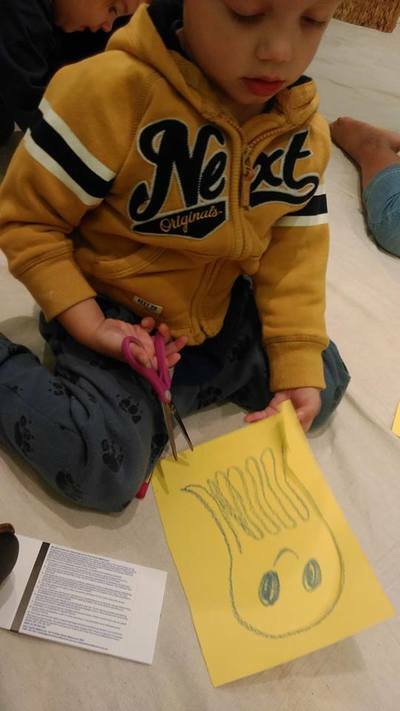 The journey begins with a little under-the-sea craft, where together with our fellow theatre goers, we were asked to draw colourful sea creatures of our choice. Once done, we attached a little magnet to the back, and all creatures were placed in a couple of baskets, which would then become part of the act. We were guided into a room with lots of little wooden boats and one big boat in the middle. 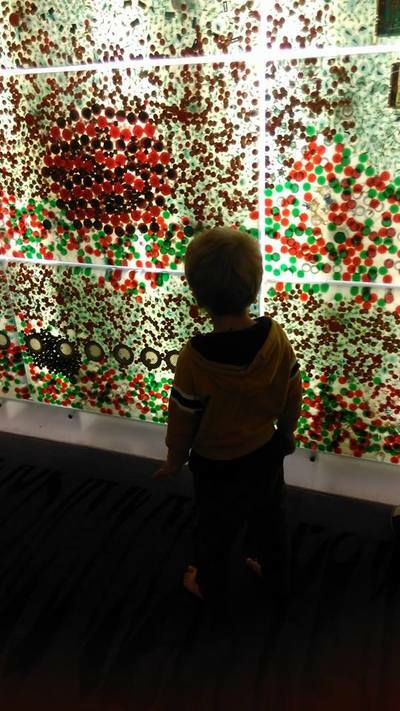 "I can't believe it" said Mr.3 in delight as he took it all in. Rather than sit and watch in a stage-like scenario, all of us were involved in the story. From beginning to end, we were part of the performance. 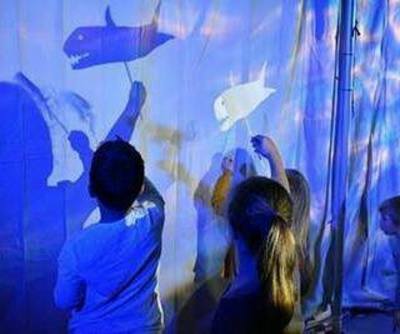 This beautifully interactive tale, awash with textiles, sound, light and puppetry, is as touching and thought provoking for the grown-ups, as it is inspiring for little minds. Although the story has minimal dialogue, the message comes across loud and clear. This is a story about refugee families who are parted from their loved ones, and the difficult journeys they take to find a better life. 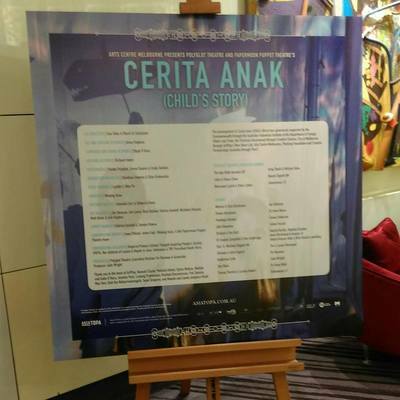 Cerita Anak (Child's Story) is a brilliant and powerful show, filled with fun surprises for the little ones. Do yourselves a favour and book tickets while you can. 1 & 2 April 10am, 12:30am & 3pm.